Just a quickie to let you know that The Compulsive Reader Newsletter for May has just gone out. If you missed your copy, you can toddle over to our archive and grab a copy. We've got three fantastic giveaways this month of some very exciting new releases including Hamster Island by Joan Heartwell, Bunker Hill by Nathaniel Philbrick, and The Family Romanov by Candace Fleming. There are also the usual bevy of 10 new reviews, a ton of literary news (this section seemsto get bigger each month) including information about the 'hot-off-the-press' Stella Prize winner, and the 2014 International Prize for Arabic Fiction, both of which were announced yesterday. Our giveaways are for subscribers only, so if you're not a subscriber, why not go and subscribe right now - it's free, it's quick, and we don't use your email for anything other than the monthly newsletter - just one per month. I've written on Tracy K Smith before, and no doubt I'll write about her again. Her poetry draws me back repeatedly for the sheer beauty and power of her words, for how much of it I recognise, culturally, politically, in terms of my own experiences, background, and interests, and above all else, because it's about as fun as poetry gets, moving easily between pop culture and the most simultaneously erudite and wrought emotional response. Moving between linguistic prowess and raw emotion is an acrobatic feat that Smith manages perfectly. 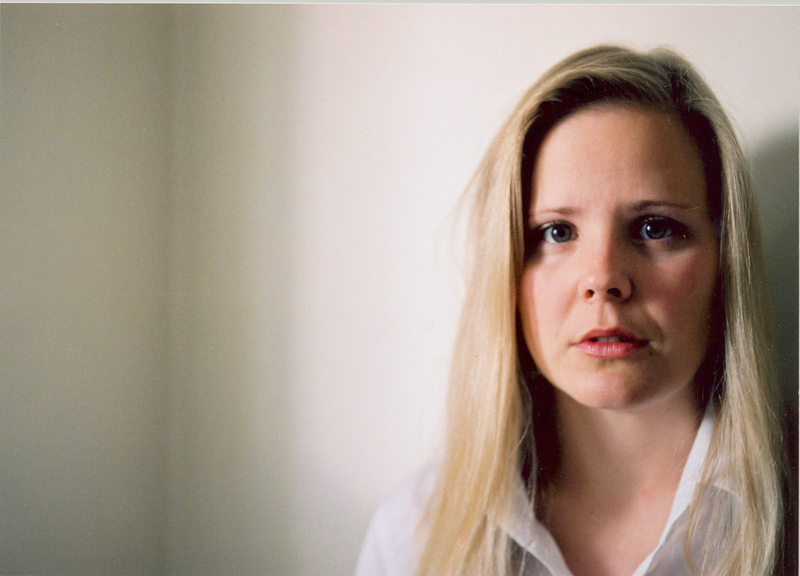 There's nothing I don't like about her 2012 Pulitzer Prize winning book Life on Mars. Here she is reading here from a portion of her poem "My God, It's Full of Stars". In case you didn't recognise it, the line is from Clarke's 2001: A Space Odyssey (a book and at times, film, that features a number of times in Life on Mars) and refers to the inside of the monolith found on Saturn. Smith is reading at the Kelly Writers House, a wonderful facility based at the University of Pennsylvania. The KWH describes itself as encouraging literary communitarianism, and true to its self-definition, it hosts some 150 literary events a semester, as well as having an open door policy that attracts some 500 visitors a week, writing, collaborating, talking about and creating contemporary literature. If you're lucky enough to live near PA, you'll want to drop in. If not, they do some pretty wonderful webcasts. It's lucrative (hey, a poet has to eat). First prize is $12,000. Second prize is $5,000. That's a pretty decent meal. The judges are almost always excellent poets themselves, and well versed (couldn't help myself) in critically assessing the work of others. The 2014 judges are two poets whose work I admire greatly: Mark Tredinnick and Anna Kerdijk Nicholson. 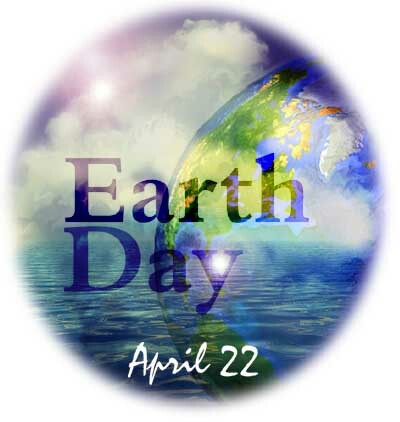 Since its inception in 1970, Earth Day has been a rallying call for environmental stewards around the world to actively promote and educate their fellow citizens on the environment. The Earth Day network coordinates a number of world wide programs including in-school educational events, clean-up sessions, engaging businesses and governments on how to transition from a traditional, fossil fuel-based economy to one based on renewable energy, hosting seminars, encouraging "greening" projects (this year's theme is "green cities"), and plenty of other initiatives. All proceeds from Sublime Planet are being donated to the World Wildlife Fund. strangely hungerless, intense as a nucleus. alive with an intelligence of I know not what. this glorious violence upon you and me." Takolander's vision is taut, dark and powerful, moving easily between a micro and macro perspective that eliminates the dichotomy and shifts the point of transition and power from the grand sweep to minutae. Though I've yet to fully delve into every poem in this book (which I've only just received), The End of the World has drawn me in quickly, particularly the first part, which explores childbirth and motherhood in a way that is entirely unsentimental and as intense and beautiful as it is painful and fraught. 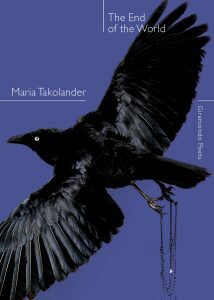 Without losing any of the seriousness or density of her subjects, Takolander manages a sharp, black humour that weaves its way through the book. The poet is a degenerate, and "those hysterics moved by her influence/are already, ipso facto, degenerate subjects". Indeed. I look forward to developing my hysteria and delving more deeply into the degenerate (and "perplexingly beautiful") poems that make up The End of the World. Just a few images I couldn't help capturing (I tried not to, but my camera is a little vain) of my books on sale in the Maclean's extensive Newcastle Writer's Festival bookshop on the bottom floor of City Hall. They'll still be there tomorrow if you're so inclined. If you can't find me to get an autograph, let me know and I'll make sure you get a personalised autograph - one way or another. Even if you don't buy one of my books, there are lots of fine books from even finer writers, most of whom are local and all of whom are immensely talented. You can get hold of a free cloth carry bag (stickers and bookmarks too) from the 1233 ABC Newcastle folk, who have done a terrific job of supporting the event (been enjoying their interviews all week), at their 1233 Chill Out Zone, just outside of City Hall. That way you'll have something to carry your haul home in. I spent a lovely, indulgent day at the Newcastle Writers Festival today. I started my day by attending the Rough and Tumblr session with Siobhan Curran, Mark MacLean, and Michael Newton, hosted by Newcastle University creative writing lecturer Keri Glastonbury. The three bloggers talked about the start and evolution of their blogs, and showed a selection of images from their blogs. For me, the biggest takeaway was that no matter what the medium (images or words), at the end of the day, what's most evocative to readers is the story that emerges. Then was the magnificent Kate Forsyth. Kate was not only enchanting (as you might expect), warm, and open, she also provided so many tips for writers (including some exceptional ideas for writers block) that I wish I'd recorded every word on tape. Some of the advice I intend to implement immediately is to write a little synopsis each evening of what I plan to write the next day before I go to bed to get the subconscious to work for you. I love her use of notebooks too to keep track of story ideas and create a working scrapbook for each novel. She showed us a rather pretty slim one she's carrying with her, but you can have a look at the completed notebook for her latest book The Wild Girl at Kate's blog. Following that, was my session How Does Poetry Survive with John Knight, Christopher Pollnitz and Rob Riel. David Musgrave was held up in Sydney - we missed him (no one else wore a funny poetry t-shirt for one thing), but the show went on and my three panel members were extraordinarily lucid, offering insights on what it means to be a modern poet, poetry publisher, and poetry editor. Our discussion was wide ranging, including such things as publishing slam poetry, on critical editing, the tricky dance between editor, reader and poet, Pollnitz' gorgeous exploration of part II of Auden's "In Memory of WB Yeats" (one of my favourite poems) which he aligned perfectly with the topic, and lots more. The room was packed to the wall and we went just a bit overtime due to the enthusiasm of the rather diverse crowd and my desire to take all questions. Finally, I ended my day by attending the Newcastle, City of Poets poetry reading at Agosti Espresso on Darby Street, compered by the wonderful Judy Johnson, and featuring readings from a number of local poets including Ivy Ireland, Mark Tredinnick, Robin Loftus, Kathryn Fry, Glenn Beatty, Cassandra O’Loughlin, Jean Talbot, Clark Gormley, Linda Ireland, and a few others (including myself). Judy did an excellent job of keeping us on track (even if not all of us kept strictly to our 5 mins...). It was certainly a delightful way to end the day for me, though there are more sessions this evening and another whole day of it tomorrow. Just in case you haven't received yours (or it's sitting in your spam folder - I'm afraid the word "compulsive" does sometimes trigger it), the new Compulsive Reader newsletter for April has gone out with the usual cache of ten eclectic reviews including My Journey by Olivia Chow, Random Acts of Kindness by Lisa Verge Higgins, The Heroism of Pakistani Poetry, Nice Girls Still Don’t Get the Corner Office by Lois P Frankel, Valerie June’s Pushin’ Against a Stone, The Wild Girl by Kate Forsyth, Get it Done — From Procrastination to Creative Genius in 15 minutes a day by Sam Bennett, The Rule of Knowledge by Scott Baker, the Sternthal-Klugman film The Words and Lucy Fischer’s book Body Double, and It Came! by Dan Boultwood. How's that for diversity? There's also a big roundup of literary news (lots going on this month), and three new book giveaways for subscribers to enter. You can grab a copy from the archive here: http://www.compulsivereader.com/send/00240ad165054ec/ and if you aren't a subscriber, go and subscribe already: http://www.compulsivereader.com. It's free, it's informative, it's artistic, it's a global worldwide network of book lovers and if you aren't already subscribed, we're missing you.